Companies that do business with the U.S. federal government are required by the Historically Underutilized Business Zone (HUBZone) Empowerment Act to contract with HUBZone-certified small businesses for at least 3% of federal contracting dollars. The Small Business Administration (SBA) has designated Venango County Pennsylvania as a qualified HUBZone county. This means that Liberty is eligible to become a HUBZone-certified company which will position us to be able to help our customers and prospective customers meet the 3% requirement. Many of the companies that we speak with have expressed an interest in placing new business or more business with Liberty in order to gain a dependable cost-effective supplier and meet the federal requirement. As a result, Liberty is working hard to provide the required information to the SBA in order to achieve the HUBZone certification in the coming months. Safety Awareness Month is an annual series of events held each June to educate and build awareness in all of us at Liberty about the importance of safety. 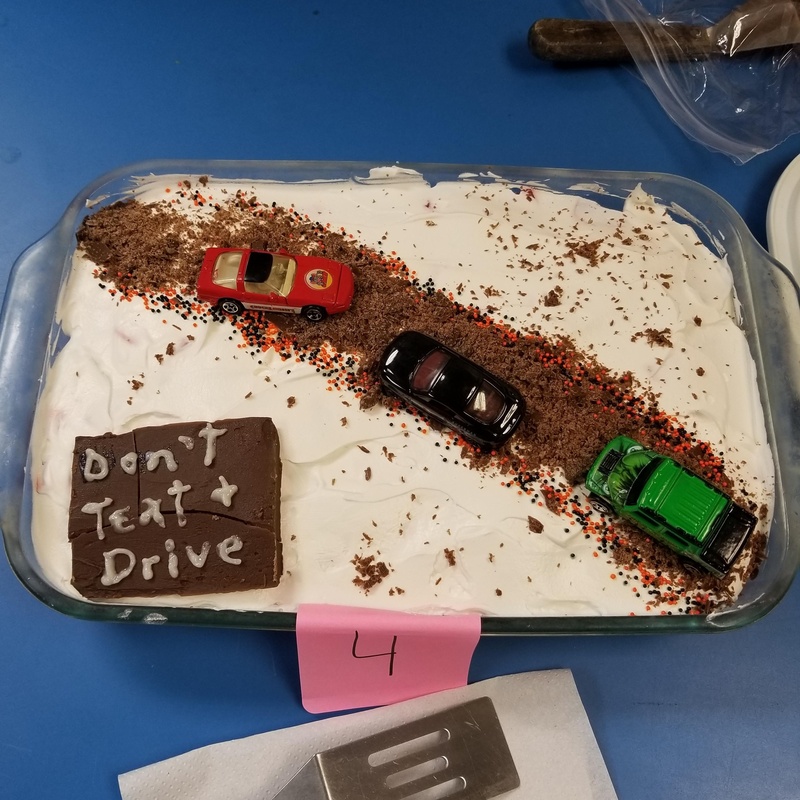 From classroom work to Kid’s Day to cake decorating, costume, and children’s coloring contests, the activities are designed to be fun and educational. Tickets are awarded throughout the month for knowledge of safety and participation in safety-related activities and then drawn for prizes such as kayaks, air conditioners, tools, games, etc. Our increased safety awareness has been instrumental in driving incidents down and improving the quality of the working environment and productivity here at Liberty. Liberty has purchased a new machine that provides an alternate and improved method for wire and cable marking. Laser marking is a better alternative than either hot stamping or ink jet marking provided the wire insulation or cable jacket is laser-markable. 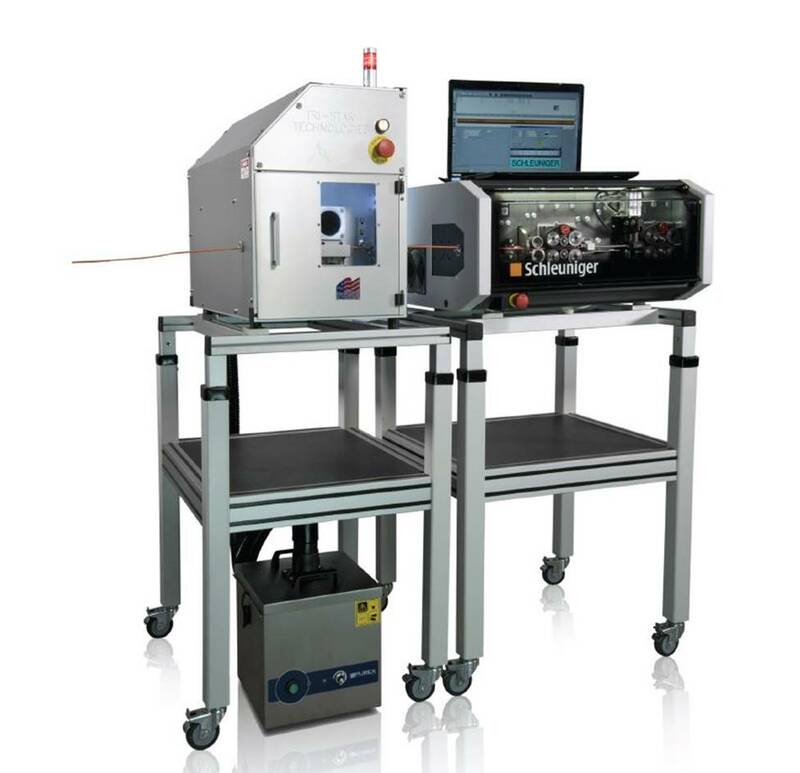 This new machine gives us the capability to support preferred wire and cable marking in the Aerospace market, and it is qualified to the Boeing marking spec BAC5152. 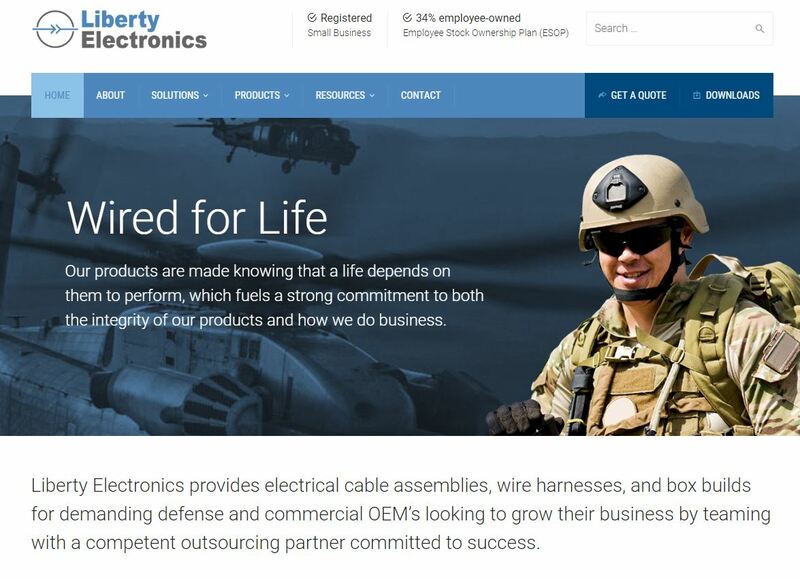 In the past quarter, Liberty Electronics launched a major initiative aimed at improving our marketing efforts, primarily through a more established digital presence. These efforts included lauching a newly designed website, implementing marketing automation tools, building a social media presence, and publishing value-add content for audiences. The intent for this initiative was not only to be more relevant in the manufacturing industry, but also to be more data-driven when it comes to sales and marketing efforts. This also means maintaining compliance with regulatory measures such as the EU's recent GDPR guidelines for the collection of user information. We hope that you will connect with us on Twitter and LinkedIn, and subsribe to our new blog, Wired Success. In looking at the array of companies Liberty has been able to serve, we were grateful and humbled to realize that 70% of our top companies have remained with us for more than 10 years. 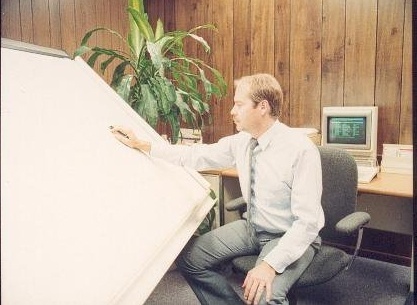 This caused us to look to the story of our start, over three decades ago to reflect on our early years of challenges and triumphs that would build the foundation of our company's character. In a three-part series, we were able to chronicle the birth of our company's innovative spirit, the investment made in our employees, and the level of personal integrity demonstrated by so many that would combine to make Liberty Electronics a true success beyond just profitability. Through interviews and research, local historian, Kelly Anderson Gregg, captures the story of our start. Meet George Allman. George is a Manufacturing Engineering Supervisor that has been with Liberty for 21 years. He works primarily in process and fixture development within Liberty’s Mil/Aero Business unit, and also helps to support new business growth and development in various capacities. He is a member of the Society of Manufacturing Engineers, serves as an advisor/mentor to local STEM student groups, and is a frequent speaker and contributor at various events within the Additive Manufacturing community. Prior to Liberty Electronics, George and his wife owned and operated a plastic fabrication business for 8 years. George attended the University of Pittsburgh and Robert Morris College in the study of Business Administration and Management. In 2011, he graduated from Clarion University’s Venango Vision Regional Leadership Institute. George and his wife Julia, both originally from Pittsburgh, now reside in Seneca. George has five children, and two grandchildren. Outside of work, George and his wife keep busy by being active in the community and by participating in various church related activities. Earlier this year, George was featured in an article about Liberty's 3D Printing capabilities in Additive Manufacturing Magazine.